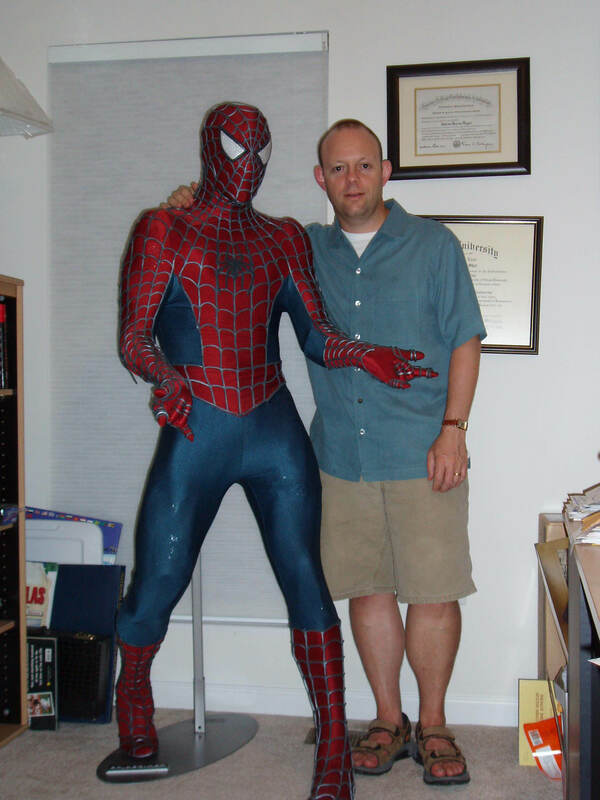 My name is Andy Mayer, and I am the author of Life With Spidey. I am a 47-year-old, married, father of two living in the suburbs of St. Louis. I live what seems like a stereotypical, suburban lifestyle, consumed with a kid in college and another finishing high school, plus a new job as of mid-December 2013. I started this blog to provide an outlet for some writing. I’ve not posted as much as I would have liked, but I hope you enjoy it nonetheless. The postings of this blog, as you would imagine, reflect my interests. I am passionate about ice hockey in general, and I live and die with the Washington Capitals. I also live and die with the New York Yankees. I love to travel. My wife and I lived in Russia for two years and we have taken our kids to Mexico, France, Japan, and all Disney properties except Hong Kong. To know me is to know I have “thing” for Spiderman — hence the name of the blog. I collect all things Spiderman and have amassed quite a collection — although not as large as some I have seen on the web. My son has inherited this “thing” and reads several Spiderman comics that come in the mail. When we visited Japan in 2008, I brought a small Spidey with me on the trip — ourjapantrip.wordpress.com. Now that I’m writing this blog — Spidey is going to get more exposure. I welcome your feedback at andy@lifewithspidey.com. You can follow me as well on twitter – www.twitter.com/stlspidey.